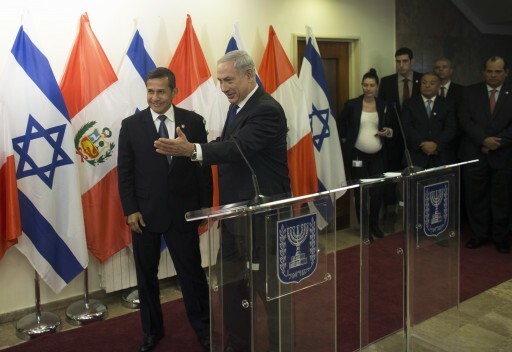 South America - The foreign ministries of Chile and Peru today have recalled their ambassadors in Tel Aviv to protest Israel’s operations the Gaza Strip according to the Ministry of Foreign Affairs of Chile. Jorge Montero, Santiago Ambassador, was recalled from his Tel Aviv post after Operation Protective Edge continued its 22nd day Tuesday. The Chilean foreign ministry focused on the more than 1,000 Palestinians killed during the conflict in its statement, noting that women and children have been injured or killed as well. Brazil and Ecuador announced the same last week. They're catholic countries, does this really surprise anybody? I won't buy any fruit or vegetables from these morons. Let it all rot in their fields. Tell all your friends to look at the produce they buy and if it has a label on it or on the box stating that it comes from chile or peru, DON'T BUY IT. The stores don't want their produce to rot so if everyone tells them that they're not going to buy produce from these moronic countries, the stores won't buy them either. Israel disrupted the cease fire? Are these people on drugs? Jews need to also boycott visiting these banana republics. “ I won't buy any fruit or vegetables from these morons. Let it all rot in their fields. Great idea!! This should be publicized. Is this the same Chile which let in Nazis after WWII? How many innocent people did these Nazis kill and torture? Forget avoiding fruit, the wine is big business. Stop buying Chilean wines and announce it. I assume Jewish firms import them but still, I refuse to send my Jewish money there.